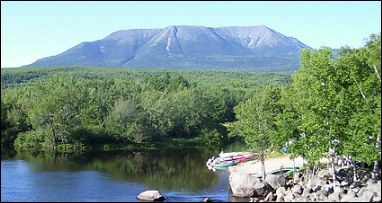 For over 45 years, Katahdin Outfitters has served parties traveling to the "North Maine Woods" to canoe and kayak some of the most noteworthy rivers in Maine and the northeast. Our base which is located in Millinocket, Maine, is directly on the major access route to the area. This area has several million acres of public and privately owned undeveloped wilderness which contains the headwaters of the Allagash River, St. John River, and Penobscot River, with access to Baxter State Park, the Appalachian Trail, and the West Branch Region. As an established Allagash wilderness outfitter, we feel the most valuable service we can offer you, our customer, is to assist in trip planning, routing and as a reliable source of up-to-date canoeing and waterway information. In an effort to make your vacation a unique, custom, and memorable experience, we have many trip/gear options available. Katahdin Outfitters also provides our clients with this quick link to purchase your state of Maine resident or non-resident fishing license for those that want to cast a line for one of Maine's fine brook trout. For our customers' convenience with their trip planning, we offer this link to USGS Real-Time Water Data for the Allagash River. Check here to view up to date water levels and flows on the Allagash Waterway. 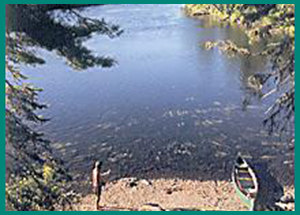 We also offer this link to a map of the Allagash Wilderness Waterway. Not just a map but a very valuable trip planner for those seeking enjoyment on the waterway. 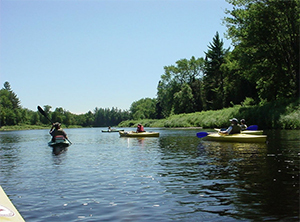 The Allagash Waterway is widely recognized as one of the best canoeing areas in the country, and deservedly so. 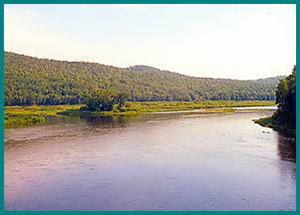 The Upper West Branch of the Penobscot River is perhaps the best known waterway in the east for observing moose. 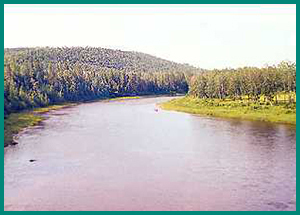 The St. John River runs along Maine's remote northwest corner & is the longest & wildest free flowing stretch of river in the east.